Bead Rack for Ceramic Kilns - BAMA. 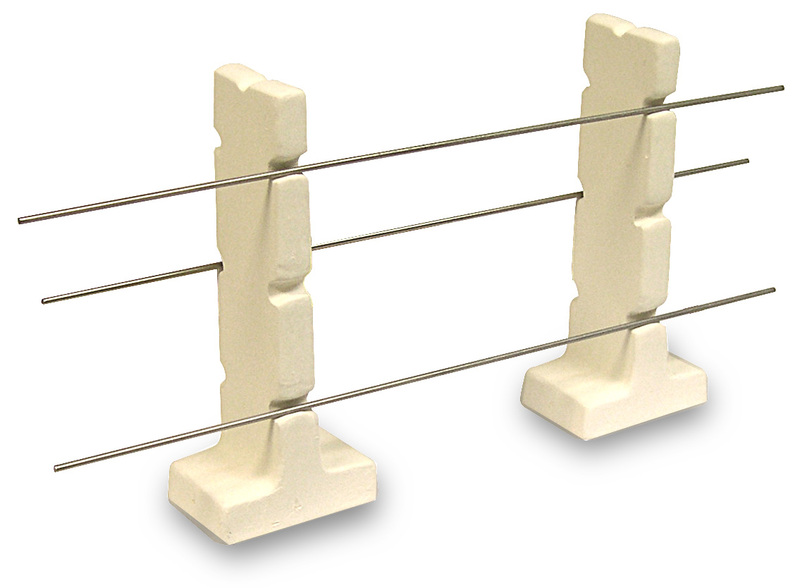 This rack is ideal for firing beads, small hanging objects etc. IMPORTANT: USE ONLY LIKE SHOWN IN IMAGE. ALSO PLACE HEAVY BEADS NEAR POSTS. IF YOU DO OTHERWISE YOU RUN THE RISK OF THE BEADS SLIDING TOGETHER AND THUS FUSING TOGETHER.